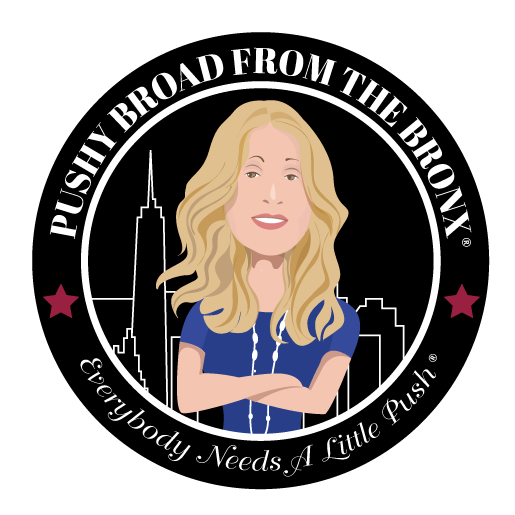 Who is the Pushy Broad from the Bronx? I am Ellen Stewart, a Certified Life Coach with training and certification from iPEC, the Institute for Professional Excellence in Coaching approved by the International Coaching Federation. I am also certified as an Ericksonian Hypnosis Master Practitioner. I am a member of the International Coaching Federation. I have also worked in the Behavioral Health and Addiction Field for 13 years. I have a Bachelor of Arts Degree in Speech Communications and Education from Lehman College of the City University of New York. I have formerly held a New York State teaching license and have taught at the High School and College levels for many years. In addition, I have a background in Human Resources, Vice-President of Public Relations, and have successfully run two independent businesses. I have been in private practice as a certified Life Coach for close to 7 years. I love what I do and love helping people discover their push moments! And the Pushy Broad Part?